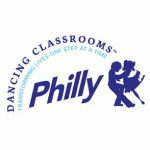 Dancing Classrooms Philly isn’t just about dance – it’s about transforming kids into “ladies and gentlemen” with a set of behavioral skills and social graces that will carry over into all aspects of their lives, giving them the confidence and self-esteem needed to compete in the real world. Students meet twice a week for ten weeks and are eligible to compete in a competition among all of Dancing Classrooms’ area students. “Al-Bustan,” Arabic for “The Garden,” offers 30 weeks of structured exposure to the language, art, music, dance, literature, and natural environment of the Arab world. 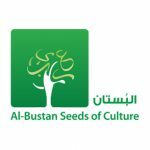 Al-Bustan promotes cross-cultural understanding among youth and adults of all ethnic, religious, and socio-economic backgrounds through artistic and educational programs. RockReach engages students during 36 weeks of dance instruction integrated into the school’s curriculum. 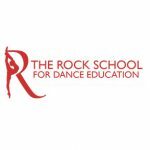 Professional Rock School instructors engage children in dance classes, teaching basic movement skills of discipline-based art forms. Culminating in a student performance open to the entire school, RockReach provides valuable interaction with adults and peers, contributing to students’ social and communication skills. In this artist in residence program, our 8th grade classrooms are transformed into a Shakespearean stage. Utilizing our specially designed curriculum, teaching artists will engage students in in-depth activities, exploring and enhancing their understanding of the play. Over the course of two weeks, students will perfect their scenes using intensive theatre training sessions such as: character development, period movement, fight combat, and performance preparation. All activities have been expertly created to inspire and involve the whole class in crucial aspects of Shakespearean performance, based on theatre arts elements, and the Pennsylvania State and Common Core Standards for reading, performance, and literary interpretation. 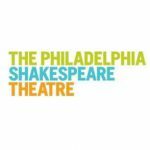 My partnership with The Philadelphia Shakespeare Theater has provided my students with additional opportunities to grow and acquire important social, emotional and cognitive skills. Opera is used as a vehicle to teach lessons across the curriculum. 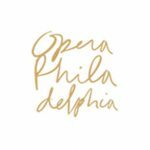 In this program, our 8th graders will be introduced to opera through lessons from music and language arts, to social studies, foreign languages, and more. The program culminates with students attending a dress rehearsal at the Academy of Music.